This hotel is 100pct nonsmoking The Homewood Suites by Hilton San Antonio-Northwest located in northwest San Antonio Texas is a beautiful all-suite hotel featuring one and two-bedroom suites. 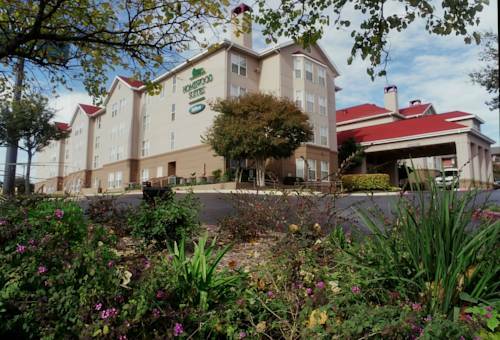 This lovely Homewood Suites hotel features spacious apartment-style guest rooms with separate living and sleeping areas and a fully equipped kitchen. The Homewood Suites hotel in San Antonio Texas offers complimentary wireless high-speed internet access throughout the hotel. Guests will enjoy the daily complimentary Suite Start hot breakfast and the Welcome Home reception featuring a complimentary light meal and beverages Monday through Thursday evenings /subject to state and local laws/. Amenities include an outdoor pool exercise room business center with computer access and an on-site coin operated laundry facility. The Homewood Suites hotel in San Antonio Texas is just minutes from Six Flags Fiesta Texas Sea World San Antonio*s finest shopping areas and golf courses. Make Yourself At Home. World Famous Burgers and a variety of 100 beers.